Gallo had a couple of local release events (at Grimeys and Vinyl Tap), and those shows, along with other various locales in Nashville now serve as a hysterical mini rock-doc by Gallo, his bandmates, and a number of his team at his New West label. The doc plays on some of the general industry jokes as noted above, but it also teases Ron exploring his true journey to become a jazz musician and skateboarder. As we wind through the days leading up to the release of Really Nice Guys, the video stops into Ron’s house for a jazz jam session that has his roommate considering his future, some more Gallo’s sweet skateboarding moves, and visits to Grimeys, New West’s office, Vinyl Tap, and quite a bit of time in Kroger. 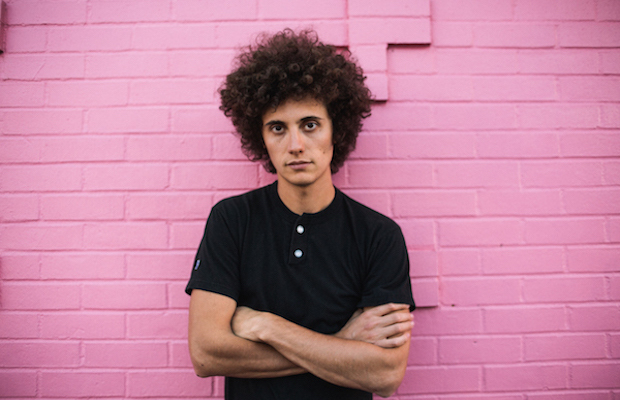 Head below for 20 minutes of awkward bliss, as you spend some time with the uber talented (in jazz and skating) Ron Gallo.